So, who's the Bigfoot? 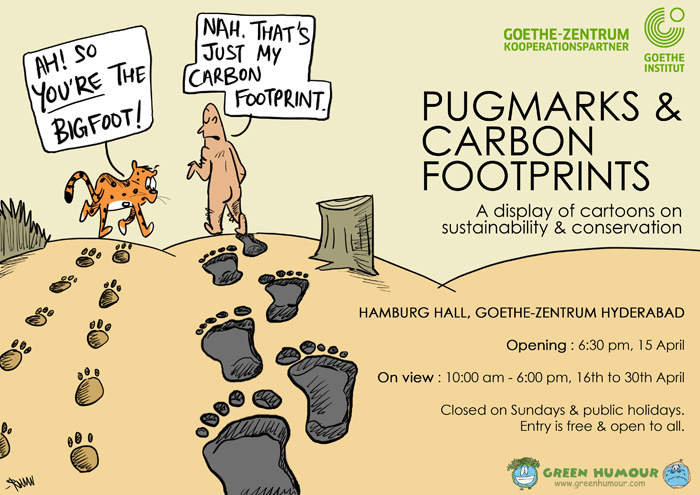 The cartoon appears on my Gocomics page today, and is also the cover for my exhibition that I'm doing this week in Hyderabad, called 'Pugmarks and Carbon Footprints'. 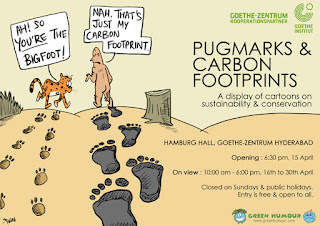 The display of 54 cartoons on wildlife conservation and sustainability is being conducted at the Hamburg Hall in association with Goethe Zentrum Hyderabad, and opens on the evening of 15th April at 6.30pm. If you're in Hyderabad, drop in and say hello! Join the event on Facebook here.